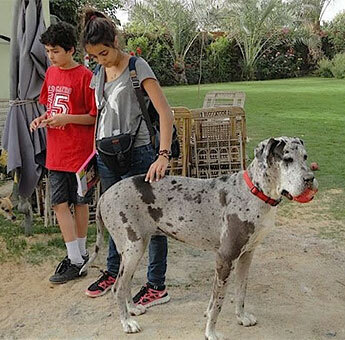 Our founder bought the land and built Al Sorat farm in 2005, after the death of her husband. At that time she had been living in Egypt for more than 20 years, having raised her own family in Alexandria and Cairo. Today, people all over the world visit our recreation and education center. 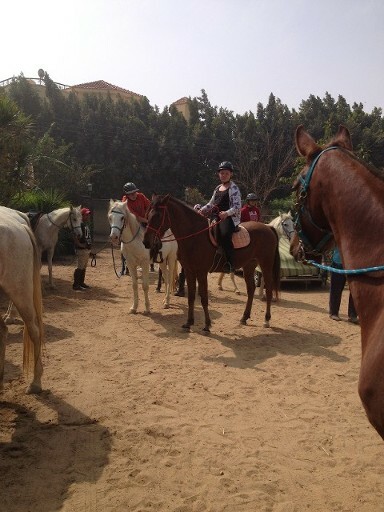 Initially, we specialized in tourism, offering horseback riding tours of the surrounding countryside and antiquities areas. With the 2011 revolution, tourism in Egypt ceased, and we needed another outlet for our staff. 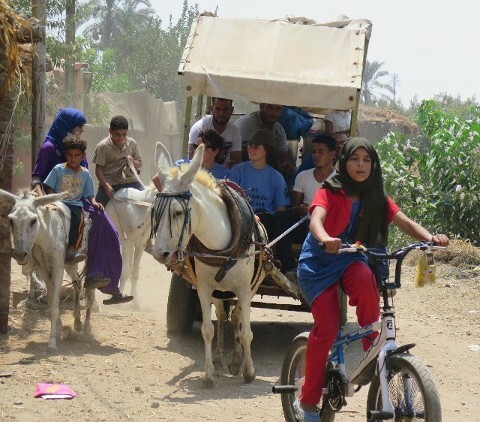 We trained our team as farriers and veterinary assistants, with help from local farriers and vets from the equine charities in the Cairo area. 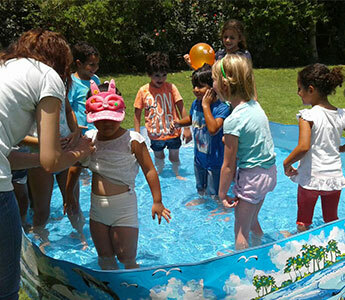 After a couple of years of extreme inactivity, security measures let up in the Cairo area, and schools and families began coming out to Al Sorat for recreation and lessons, so we expanded our activities in this area. The animals that live on our farm are all social creatures. We designed the living areas to allow animals to live outside in natural conditions. Although the animals are all living in paddocks out of doors they all have shelter from the sun, bathtubs of water, and lots of food available as they would if they were living free. Our farm population consists of dogs, horses, donkeys, a mule, water buffalo, goats and various varieties of sheep, as well as ducks, geese, chickens, turkeys, and the odd parrot, parakeet, or hand-reared bird in a large aviary. We don't believe that animals should be restricted in their eating times, their movement and their contact with their fellows by putting them in cages or boxes. Al Sorat Farm started the charity of Rural Wellness Initiative Egypt, which works out of our farm, to teach preventative medicine to the farmers in the area. Rural Wellness Initiative makes mobile visits to the farming villages in the area on Tuesday mornings and is happy to have visitors join them. As well the farmers visit the farm to consult with the staff about first aid and nutritional issues. Hosting workshops on permaculture during the quiet period led to our organic farming activities. After all, one has to do something with all that manure, even if we do sell quite a lot. Recently we rented some land next to the farm to work with drip irrigation techniques. We accept visitors by appointment from 9:00 a.m. to sunset. We appreciate it if you call ahead, email, or send a message by email, phone, or Facebook to book as we don't like the farm to be too crowded and hectic. Sometimes a family or a school might make a large booking for a birthday party or some other sort of gathering and the farm might be closed to just this group. Another reason for booking ahead is that if the weather turns bad during sandstorm season, we will call to warn our clients rather than having them drive all the way out here. If you want us to prepare a lunch, we require 24 hours' notice, as everything is prepared in our kitchen from scratch. Otherwise, you are invited to bring a picnic lunch or use our fully equipped barbecue facilities.